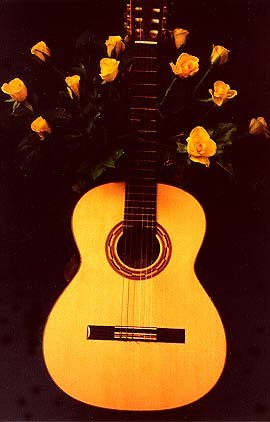 Sara Overholt, Ph.D., classical guitarist and music theorist, holds degrees from the University of California, Santa Barbara, Yale University, and California State University, Chico and studied at the Sorbonne, Paris on a Mellon grant, and the University of Cologne, Germany as a Fulbright Scholar . Dr. Overholt has performed in more than 35 countries, and is currently Quarter-line Assistant Professor in the department of music at Hunter College, CUNY in New York. Forthcoming examples of her compositions/recordings available soon. Dr. Overholt's first sole authored book, "Stockhausen's Musical Shapes: How a Master Composer Moves Sound" is now internationally available.